1 A None No Power Seat 1 A is a Space+ Exit Row seat with extra legroom. The tray table is in the armrest, making the armrest immovable and slightly reducing the seat width. There is no floor storage during takeoff and landing. 1 B None No Power Seat 1 B is a Space+ Exit Row seat with extra legroom. The tray table is in the armrest, making the armrest immovable and slightly reducing the seat width. There is no floor storage during takeoff and landing. 1 C None No Power Seat 1 C is a Space+ Exit Row seat with extra legroom. The tray table is in the armrest, making the armrest immovable and slightly reducing the seat width. There is no floor storage during takeoff and landing. 10 A None No Power Seat 10 A is a Space+ seat, although this seat may not recline due to the Exit Row behind. 10 B None No Power Seat 10 B is a Space+ seat, although this seat may not recline due to the Exit Row behind. 10 C None No Power Seat 10 C is a Space+ seat, although this seat may not recline due to the Exit Row behind. 10 D None No Power Seat 10 D is a Space+ seat, although this seat may not recline due to the Exit Row behind. 10 E None No Power Seat 10 E is a Space+ seat, although this seat may not recline due to the Exit Row behind. 10 F None No Power Seat 10 F is a Space+ seat, although this seat may not recline due to the Exit Row behind. 11 A None No Power Seat 11 A is a Space+ Exit Row seat with extra legroom, however the Exit door slightly protrudes into the leg space. This seat does not recline due to the Exit Row behind. 11 B None No Power Seat 11 B is a Space+ Exit Row seat with extra legroom. This seat may not recline due to the Exit Row behind. There is no floor storage for this seat during take-off and landing. 11 C None No Power Seat 11 C is a Space+ Exit Row seat with extra legroom. This seat may not recline due to the Exit Row behind. There is no floor storage for this seat during take-off and landing. 11 D None No Power Seat 11 D is a Space+ Exit Row seat with extra legroom. This seat may not recline due to the Exit Row behind. There is no floor storage for this seat during take-off and landing. 11 E None No Power Seat 11 E is a Space+ Exit Row seat with extra legroom. This seat may not recline due to the Exit Row behind. There is no floor storage for this seat during take-off and landing. 11 F None No Power Seat 11 F is a Space+ Exit Row seat with extra legroom, however the Exit door slightly protrudes into the leg space. This seat does not recline due to the Exit Row behind. 12 A None No Power Seat 12 A is a Space+ Exit Row seat with extra legroom, however, the Exit door slightly protrudes into the leg space. There is no floor storage for this seat during take-off and landing. 12 B None No Power Seat 12 B is a Space+ Exit Row seat with extra legroom. There is no floor storage for this seat during take-off and landing. 12 C None No Power Seat 12 C is a Space+ Exit Row seat with extra legroom. There is no floor storage for this seat during take-off and landing. 12 D None No Power Seat 12 D is a Space+ Exit Row seat with extra legroom. There is no floor storage for this seat during take-off and landing. 12 E None No Power Seat 12 E is a Space+ Exit Row seat with extra legroom. There is no floor storage for this seat during take-off and landing. 12 F None No Power Seat 12 F is a Space+ Exit Row seat with extra legroom, however, the Exit door slightly protrudes into the leg space. There is no floor storage for this seat during take-off and landing. 2 A None No Power Seat 2 A is a standard Space+ seat with 34" seat pitch. 2 B None No Power Seat 2 B is a standard Space+ seat with 34" seat pitch. 2 C None No Power Seat 2 C is a standard Space+ seat with 34" seat pitch. 2 D None No Power Seat 2 D is an Space+ Bulkhead seat with extra legroom due to the position of the Bulkhead wall. The tray table is in the armrest, making the armrest immovable and slightly reducing the seat width. There is no floor storage during takeoff and landing. This row has the only bassinet location on this plane, so passengers traveling with infants are very likely to be seated here. 2 E None No Power Seat 2 E is an Space+ Bulkhead seat with extra legroom due to the position of the Bulkhead wall. The tray table is in the armrest, making the armrest immovable and slightly reducing the seat width. There is no floor storage during takeoff and landing. This row has the only bassinet location on this plane, so passengers traveling with infants are very likely to be seated here. 2 F None No Power Seat 2 F is an Space+ Bulkhead seat with extra legroom due to the position of the Bulkhead wall. The tray table is in the armrest, making the armrest immovable and slightly reducing the seat width. There is no floor storage during takeoff and landing. This row has the only bassinet location on this plane, so passengers traveling with infants are very likely to be seated here. 28 C None No Power Seat 28 C is a standard Economy seat, although proximity to the lavatory and galley may be bothersome. 28 D None No Power Seat 28 D is a standard Economy seat, although proximity to the lavatory and galley may be bothersome. 29 A None No Power Seat 29 A is in the last row of the plane and does not recline. The close proximity to the lavatory and galley may be bothersome. This seat is missing a window. 29 B None No Power Seat 29 B is in the last row of the plane and does not recline. The close proximity to the lavatory and galley may be bothersome. 29 C None No Power Seat 29 C is in the last row of the plane and does not recline. The close proximity to the lavatory and galley may be bothersome. 29 D None No Power Seat 29 D is in the last row of the plane and does not recline. The close proximity to the lavatory and galley may be bothersome. 29 E None No Power Seat 29 E is in the last row of the plane and does not recline. The close proximity to the lavatory and galley may be bothersome. 29 F None No Power Seat 29 F is in the last row of the plane and does not recline. The close proximity to the lavatory and galley may be bothersome. This seat is missing a window. 3 A None No Power Seat 3 A is a standard Space+ seat with 34" seat pitch. 3 B None No Power Seat 3 B is a standard Space+ seat with 34" seat pitch. 3 C None No Power Seat 3 C is a standard Space+ seat with 34" seat pitch. 3 D None No Power Seat 3 D is a standard Space+ seat with 34" seat pitch. 3 E None No Power Seat 3 E is a standard Space+ seat with 34" seat pitch. 3 F None No Power Seat 3 F is a standard Space+ seat with 34" seat pitch. 4 A None No Power Seat 4 A is a standard Space+ seat with 34" seat pitch. 4 B None No Power Seat 4 B is a standard Space+ seat with 34" seat pitch. 4 C None No Power Seat 4 C is a standard Space+ seat with 34" seat pitch. 4 D None No Power Seat 4 D is a standard Space+ seat with 34" seat pitch. 4 E None No Power Seat 4 E is a standard Space+ seat with 34" seat pitch. 4 F None No Power Seat 4 F is a standard Space+ seat with 34" seat pitch. 5 A None No Power Seat 5 A is a standard Space+ seat with 34" seat pitch. 5 B None No Power Seat 5 B is a standard Space+ seat with 34" seat pitch. 5 C None No Power Seat 5 C is a standard Space+ seat with 34" seat pitch. 5 D None No Power Seat 5 D is a standard Space+ seat with 34" seat pitch. 5 E None No Power Seat 5 E is a standard Space+ seat with 34" seat pitch. 5 F None No Power Seat 5 F is a standard Space+ seat with 34" seat pitch. 6 A None No Power Seat 6 A is a standard Space+ seat with 34" seat pitch. 6 B None No Power Seat 6 B is a standard Space+ seat with 34" seat pitch. 6 C None No Power Seat 6 C is a standard Space+ seat with 34" seat pitch. 6 D None No Power Seat 6 D is a standard Space+ seat with 34" seat pitch. 6 E None No Power Seat 6 E is a standard Space+ seat with 34" seat pitch. 6 F None No Power Seat 6 F is a standard Space+ seat with 34" seat pitch. 7 A None No Power Seat 7 A is a standard Space+ seat with 34" seat pitch. 7 B None No Power Seat 7 B is a standard Space+ seat with 34" seat pitch. 7 C None No Power Seat 7 C is a standard Space+ seat with 34" seat pitch. 7 D None No Power Seat 7 D is a standard Space+ seat with 34" seat pitch. 7 E None No Power Seat 7 E is a standard Space+ seat with 34" seat pitch. 7 F None No Power Seat 7 F is a standard Space+ seat with 34" seat pitch. 8 A None No Power Seat 8 A is a standard Space+ seat with 34" seat pitch. 8 B None No Power Seat 8 B is a standard Space+ seat with 34" seat pitch. 8 C None No Power Seat 8 C is a standard Space+ seat with 34" seat pitch. 8 D None No Power Seat 8 D is a standard Space+ seat with 34" seat pitch. 8 E None No Power Seat 8 E is a standard Space+ seat with 34" seat pitch. 8 F None No Power Seat 8 F is a standard Space+ seat with 34" seat pitch. 9 A None No Power Seat 9 A is a standard Space+ seat with 34" seat pitch. 9 B None No Power Seat 9 B is a standard Space+ seat with 34" seat pitch. 9 C None No Power Seat 9 C is a standard Space+ seat with 34" seat pitch. 9 D None No Power Seat 9 D is a standard Space+ seat with 34" seat pitch. 9 E None No Power Seat 9 E is a standard Space+ seat with 34" seat pitch. 9 F None No Power Seat 9 F is a standard Space+ seat with 34" seat pitch. Morning flights offer complimentary coffee, muffins, and cookies. Afternoon flights offer complimentary drinks and a snack. 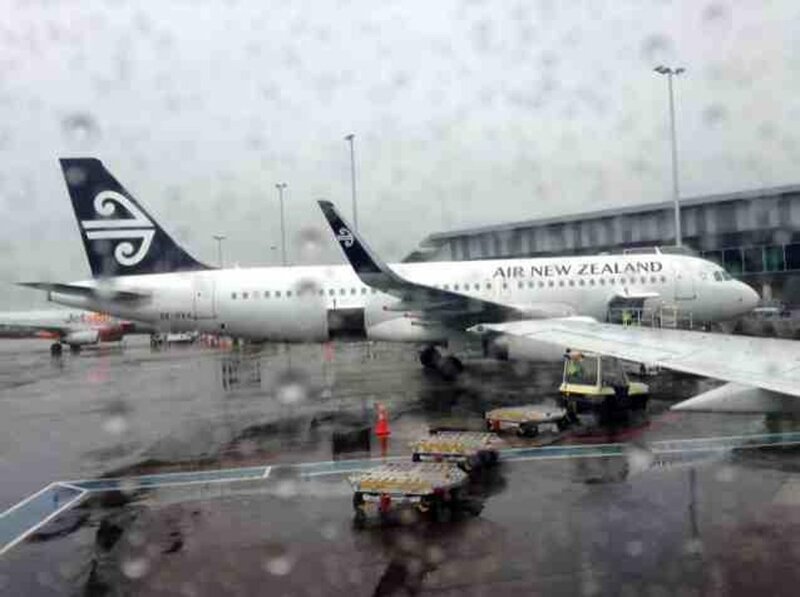 Air New Zealand has 14 Airbus 320s in its fleet, with 12 on order. This aircraft is used on domestic flights and features a single cabin of service. Seats on this version of the A320 are slim line seats without inflight entertainment. 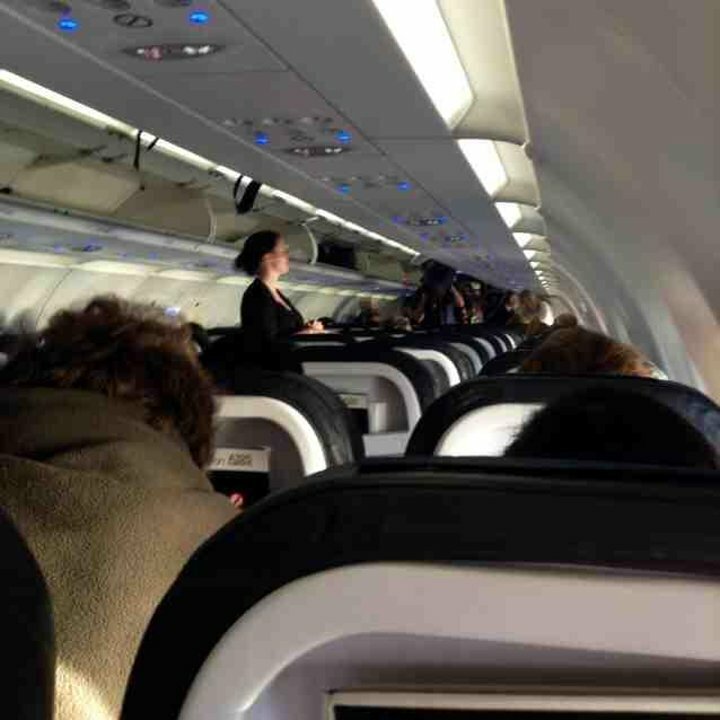 Great service and satisfactory seat for short-haul flights. I have been flying Air New Zealand on domestic services such as DUD-AKL, CHC-WLG, WLG-AKL and I am flying AKL-ZQN-AKL next month. I have no complaints. I Flew from Christchurch to Auckland Yesterday. 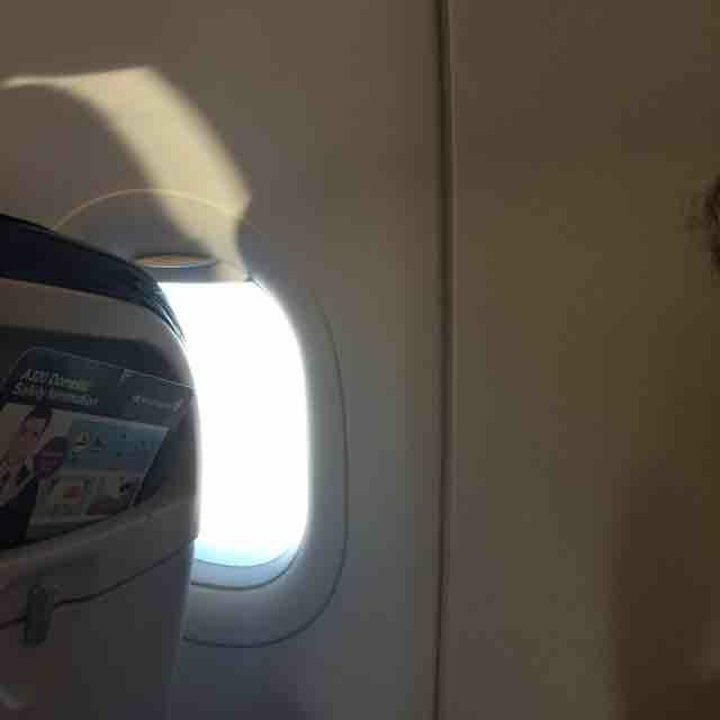 My Height is 146cm and My Seat for the Flight was 5F. Seat was Amazing. So much legroom for a 1 Hour 10 Minute Flight. The newer A320D with sharlets have no wall behind the last row anymore and seats do fully recline. The along with the fact you get served first make it a very good seat now. These seats are fine for internal flights; ours was AKL-CHC which is only about an hour in the air. After a two-sector long-haul lasting 24 hours, another hour on an A320 seemed very short! The inflight service of drinks & snacks was very good considering the short length of the flight. I flew From Auckland-Christchurch back in April...did not expect the seat to be right at the door. even with the tray tables being in the armrest, i didnt find this to be an issue. Air New Zealand charges a surcharge for this seat, since i'm a star alliance gold member, it was free for me. I would highly recommend this seat for those who love having lots of legroom. Pros: legroom, no one in front of you, seats are comfy enough for a 2 hour flight. 1st to get drinks and snacks Cons: feet will get a cold being right against the exit door. While Air New Zealand advise on their website that the seats in row 29 do not recline, they do indeed recline but at the expense of significantly less leg room compared to any other economy seat. This makes it virtually impossible for tall people to sit in, so in fairness the reduced seat pitch should be clearly advised on the seating plan so as to assist in making an informed decision and to avoid an extremely uncomfortable journey if you are tall. Boarding in AUK: row 1-11 through the airbridge, the rest down the stairs and entering the backdoor from outside. In ZQN boarding by the platform, 2 parties: 1-11 front, rest back. Seat is good, liked the extra legroom. HAve to pay for it. Good amount of space (a tad spacious) for a domestic flight. As expected, the seat does not recline (because of exit row behind it). The window is pretty much perfectly aligned with the seat and you can also snap some good photos of the wing outside. 9A's window is unfortunately greatly misaligned. 29A & 29F have slightly reduced legroom due to being 1 inch offset forwards compared with the other seats in row 29. Air New Zealand flies 2 versions of Airbus A320 (320) Intl.